How Important is Due Diligence? THE QUESTION OF Due Diligence is an interesting one. There are two schools of thought. Some people believe they should undertake all the due diligence investigations BEFORE actually making an offer and finalising the commercial terms of the deal. There are couple of issues here – number one is: Due diligence, done properly, costs money. Therefore, my approach has always been not to spend money until you have control of the property. However, there is a more compelling reason. If you go ahead and do your due diligence, the vendor will assume you are making your offer taking account of any impediments you might have found, as a result of that due diligence. Therefore, my preferred approach is to finalise the commercial terms. Then document them using a technique, which allows you the right to undertake due diligence AFTER contracts have been exchanged – but still concurrently with the settlement period. You may initially seek a due diligence period of about 21 business days. However, with the team I’ve put together, you can actually do it in 7 business days. You simply negotiate the best deal you can (effectively agreeing with the owner all is fine) … but merely reserve in the right to check everything out. That allows you to uncover any impediments in the structure (or in any information provided the vendor) … and then have the chance of a “second bite of the cherry”. Therefore, you now know why getting due diligence right, is so important. When it comes to the physical due diligence and judging the fitness of the property that you just bought, there are a number of categories that need be fully investigated. Actually, there are five in total. You have the architectural components, structure and civil components, the mechanical services, the electrical services and the hydraulic and fire protection services. These each require separate disciplines, and sometimes require separate parties to complete task. That can leave you having to coordinate everything, simply to make sure things don’t fall through the cracks. However, my Mentor group enjoy the benefit of having that coordinated for them, under one umbrella. Therefore, everything is drawn together in one report; and you know nothing has been overlooked. 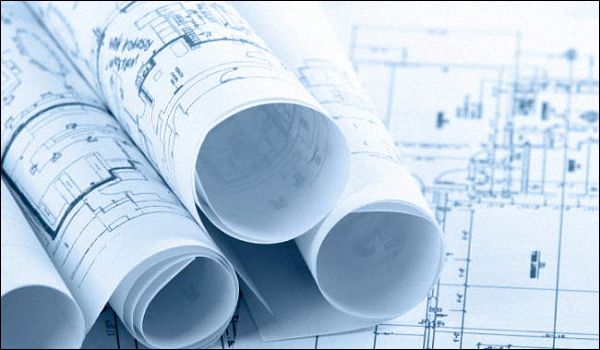 You start with the architectural and structural, which are undertaken by way of a visual on-site inspection. That would include the main elements of a building, things like the building façade, the curtain walls, the perimeter walls, the roof and any roof plumbing, the ramps and the stairs; and other things like the drive way, the parks, the retaining walls. For the building itself … the entry, the lobby, the internal walls, the floors, the finishing’s, the stairway, the amenities and kitchenettes are all included. For these elements, the initial report will provide an overview and brief description – with comments and observations – also identifying any suspected areas of noncompliance, with recommendations as to how they can be rectified. As you’re starting to see, you don’t simply let people lose on the building and say: “Come back to me with what you think.” Rather, you need to have a very tight scope of work – so your consultants understand what you are looking for, and what they are expected to deliver. Moving now to the engineering services. These fall into three different categories. Firstly the mechanical services – which will involve a description of the existing system; and then commenting on the condition of the existing plant. We are talking about air-conditioning; and assessing whether the system conforms to Australia standards. You also want some commentary on any corrective measures required to be taken, if in fact it doesn’t comply for whatever reason. What you need is a “global view” of the system, relative to the size of the tenancy. Then your consultants move on to the electrical services. They would describe the existing system; and address similar aspects (as with air conditioning) … commenting on its overall condition. Things like the main switchboard, distribution board, an assessment of the lighting arrangement (whether it is sufficient or not); plus the existing supply arrangement. You also need a comment on its overall capacity. Sometimes it may be deemed insufficient, because of a heavy computer usage drawing a lot of power, which may have an adverse impact on the mechanical services. You need to have a consultant who can think this through; and make comments as to whether the services provided are appropriate. You now move on to things like the hydraulic and the fire protection services. Again, this requires assessing the existing system in respect to its hot and cold water reticulation, storage, storm water and the fire protection services. 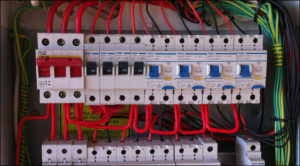 Whether these comply with Australian standards; and if not, recommendations as to how they ought to be made compliant. To cover all of this (including all the external things we talked about earlier) your consultants will need some base-building information. And as part of the due diligence, you provide a “shopping list” to the vendor (or vendors agent) of everything you will require – including that in your purchase proposal. The main reason being, it will keep the costs down – because your consultants do not have to research (or wait for) documentation. Things like architectural plans and elevations, the service documentations including drawings and specifications. And this will include plans for any partitioning the tenants may have installed. Your consultants also need access to the service, operating and maintenance manuals; plus, the service maintenance contracts, as well as the building certification documentation – just to ensure the occupancy is valid. Not having those documents sometimes means your consultants would have to obtain them from the council. 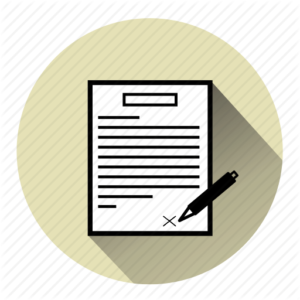 However, most owners have this documentation available; and can make it accessible in hard- or soft-copy form. The important thing is, your consultants have the ability to match up the drawings with what is physically on-site, when they go through the property. As you can appreciate, this can become expensive. However, if everything is collated and available to the consultants, it makes their job a whole lot easier. Unless you are a professional investor, arranging for due diligence is not something you would do very often. As such, it can prove an expensive exercise – because you don’t have an existing relationship with any consultants. Therefore, to help my Mentor group, I have already set up an arrangement with the necessary consultants in advance. You see, their pricing is generally determined by the size of the building. And so I simply broke the buildings down into basically four types. Category 1: From 0 to 1,500 m² for buildings under 3 levels. Category 2: From 1,501 m² to 5,000 m², again under 3 levels. Category 3: From 5,001 m² to 10,000 m², which may be 4 levels. Category 4: Any buildings over 10,001 m² or more. All I’ve done is pre-agree is set fees for building Categories 1, 2 and 3. While Category 4 building fees would be set by negotiation – because the task here is clearly more complicated. So for example: the fee for a Category 1 building would be $3,800 (+GST). Whereas, for a one-off quote, you would normally the looking somewhere between $5,000 and $6,000. And that’s simply because, the consultants would need to physically go and look at the building, before quoting you a fee. Furthermore, my consultants already have a detailed scope of works; and know the form the report needs to take. All of this enables them to move fast, and get on with the job – which is why they can turn it around in 7 business days. 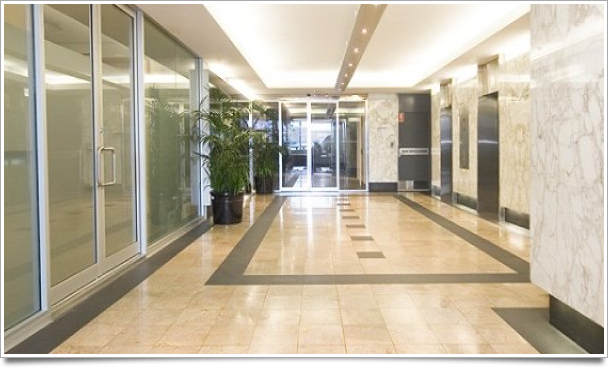 The secret in commercial property is being able to act quickly. Certainly, not with unseemly haste; but being able to make fast decisions. And having all the facts available, to undertake the due diligence assessment in the shortest time possible. And by being able to telescope things down into commercially sensible time frames … is what can give you unfair advantage in the marketplace. If you’re not already being notified whenever these answers appear … simply click on the button below to leave a question – and that will make sure you get advised, when the next article goes live. Or simply click on the button, to leave another question you’ve just thought of.